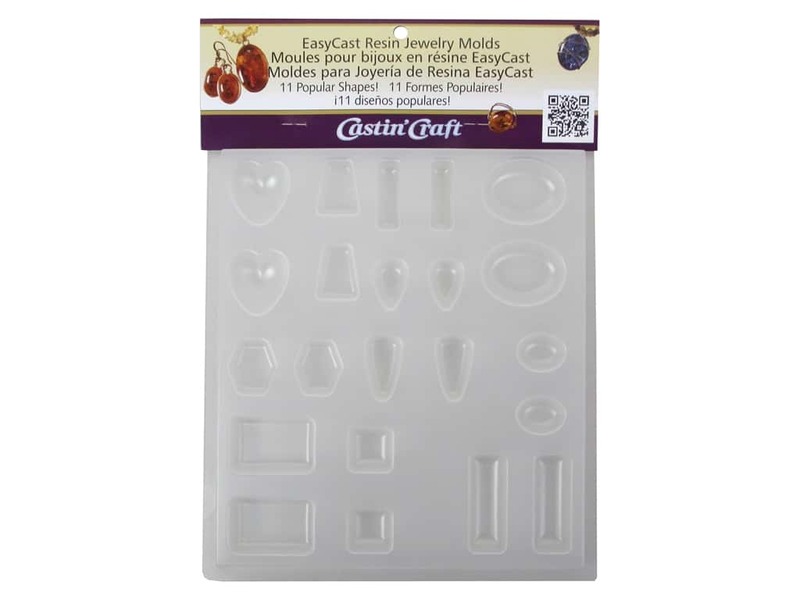 Description: Castin'Craft Reusable Mold Jewelry 11 Shapes- This tray has 2 each of 11 shapes that include hearts, teardrops, ovals, squares, rectangles and more. Made of durable, smooth polypropylene, all molds require mold release when casting with EasyCast Clear Casting Epoxy or Castin'Craft Clear Polyester Casting Resin. Use Castin'Craft Mold Release/Conditioner to clean and condition molds for longer use.